Born in Newnan, Georgia, on November 16, 1848, Grantland Seaton Long lived a full life before his only wife was even born. Romantically described in his obituary as a descendant of an old Southern family and as one of the youngest soldiers in the Confederate army, he was connected to the Candlers of Georgia, whose Coca-Cola fortune had not yet been realized. A man must in any case make his own way in the world, and so the romance continued when Long first arrived in California in 1871 to seek his fortune. Eventually settling in Los Angeles, he took up sheep farming on land west of the city, near where he would build a house in 1910. In the meantime, so the hagiography in written accounts continues, he once drove 10,000 sheep from Los Angeles to Colorado by himself, somehow losing only a dozen along the way. Later, through his association with such storied Southern California names as Bixby, Lankershim, and Van Nuys (as the Times described his life in 1923), he rose from being a shepherd to having that impressive occupational title of the era, "capitalist." While based for a while in Texas, he met an uncommon woman by the name of Electra Pearl Baker. Born in Duck Hill, Mississippi, on August 19, 1871, recently living in New York where she was listed in the 1900 census as an artist, she appears to have been visiting her father in San Angelo when Grantland came to town. It seems that she was just the type of woman Grantland had been waiting for—that rare commodity, an adventurous and educated Southern belle, by way of Mary Baldwin College in Virginia. The two married in 1902, lived for several years in El Paso and then, by late 1909, had settled in Los Angeles, at first renting 2225 West 20th Street. The fields of sheep and barley west of town were by then well subdivided and built upon by other capitalists; Grantland had come home. On June 14, 1910, the Herald reported that the Longs were planning to build a 10-room house at 671 South Vermont Avenue; on June 11 the Department of Buildings had issued a permit to Mr. Long for the construction of a 10-room, $6,000 house on Lot 5, block D of the Wilshire Boulevard Heights tract a half-block south of the boulevard. The architect cited in the permit was the Ye Planry Building Company, a longtime Los Angeles construction firm. 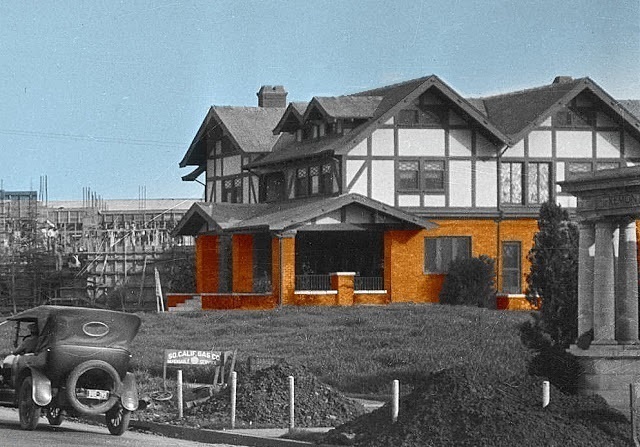 At least three neighboring houses were built in variations of its English half-timbered style, all the rage at the time, including William Lacy's at 3200 Wilshire and Louis M. Cole's at 3240 nearby. Once the Longs were in residence, they were joined by Pearl's half-brother Andrew. Their father, Andrew's namesake, visiting from Texas in 1912, would die in the new house on June 20 of that year. There were happier times too, with Pearl entertaining at 671 over the years—she would host meetings of the United Daughters of the Confederacy on occasion—at least until Grantland Long died in the house in 1923, coinciding with the beginning of the commercialization and widening of Wilshire and its major intersecting streets such as Vermont. Like tumbleweeds, the first intimations of the business future of Wilshire Boulevard began blowing quietly past the big houses of its residents as early as 1920. Traffic conditions in downtown Los Angeles were reaching crisis proportions, according to the press. The Times and the Herald published ambitious population projections regularly, as did real estate developers in their advertisements for new tracts. And indeed, the number of Angelenos was already on its way to more than doubling during the decade. As happy a prospect as that sounded, downtown merchants feared that gridlock would hinder business before long—it seemed clear that not everyone would be able to work or shop or go to the movies downtown. Frequency increases by the Los Angeles Railway and the Pacific Electric only added to a problem that was getting worse as the '20s proceeded, as strings of streetcars collided, often literally, with ever more automobiles drawn by the promise of elaborate new basement and multistory garages that still couldn't keep up with demand. The traffic and parking crises became editorial topics and no doubt figured in lunchtime conversation among movers and shakers in their clubs, a good many of whom lived on Wilshire Boulevard. Developers along West 7th Street at the south edge of Westlake Park hoped to create a new suburban shopping nexus, as did some along West 6th Street at the north side of the park. Both streets had the seeming advantage of running uninterrupted from downtown; at the time Wilshire began only at the west side of Westlake Park. The district's oldest house was just 25 years old, but the smart money envisioned turning a huge unsentimental profit and bet that the cachet of the Wilshire name would win out, despite the street being cut off from downtown. And so the houses of the Wilshire corridor would fall, if they weren't among those moved. John G. Bullock and John J. Haggarty were fired up. If their department-store customers were going to have a hard time getting to them downtown, they would go to their customers. J. J. Haggarty specialized in luxury goods; Bullock envisioned that his new suburban store would do the same, unlike his vast democratic emporium at Broadway and Seventh. In 1922 his team of investors bought William Lacy's property at the southwest corner of Wilshire and Vermont in anticipation of successful rezoning; after moving the house at 3200 Wilshire to Windsor Square to use as his own residence, Bullock's suburban-store project languished for several years until Haggarty's surprise announcement in 1928 that he would build an enormous height-limit commercial project at the southeast corner of Vermont on the Albert Busch property, long vacant and improved only recently with a low-rise business block. Bullock's plans for a luxury store were revived and revised; traffic had increased so much at the intersection of Wilshire and Vermont since 1922 that it was feared that shoppers would be discouraged from visiting the new Bullock's for the same reasons they had begun to balk at going downtown. There was, in the end, no new J. J. Haggarty store at Vermont; neither was there to be a Bullock's on the corner. Bullock's-Wilshire ultimately opened two blocks east in September 1929, uniquely solidifying Wilshire Boulevard's commercial glamour. Los Angeles, known broadly as Hollywood. The lady in mourning is particularly fearsome. the front steps of their new club at Wilshire and Lucerne, circa 1928. While men would continue to trudge downtown every day, their clubs if not their offices never moving from the district, their wives longed for more sedate shopping and clubgoing experiences. The two top retreats of the genteel ladies of Los Angeles were the Friday Morning Club and the Ebell, both on South Figueroa Street, convenient for members living to the southwest of downtown in beginning-to-fade West Adams but not to those of newer districts due west, where fashion had been turning for some time. Just as the Friday Morning ladies were completing their elaborate Figueroa clubhouse, the matrons of the Ebell were looking elsewhere. 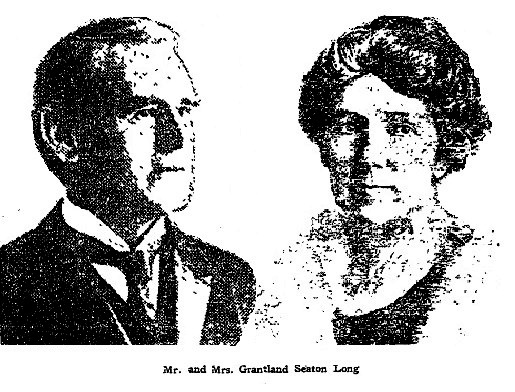 The Ebell's president for 1922-1924 and a member of its Building Committee, Mrs. Grantland Seaton Long had grand ideas. Guided by a group of investment-minded club husbands, referred to in some sources as "a syndicate of local bankers," she signed the deed to buy a portion of the Busch property on the south side of Wilshire near Vermont in February 1923. It was at the southeast corner of Shatto Place, only just cut south to Seventh Street. The house at 3124 Wilshire, built by the Busch family in 1898, was to be moved in the deal. 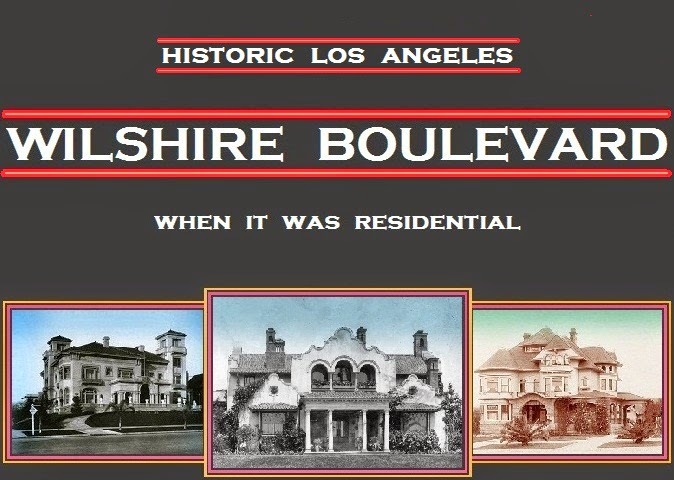 As it happened, in the rush of Wilshire to commercial zoning, the value of the Ebell's new property went up so high so quickly that it was advised by bankers to take the profit and secure a lot even farther west. In an era of conflicting notions of emancipation, having a husband who was 23 years her senior was no impediment to Mrs. Grantland Seaton Long's ascent to the presidency of the largest contingent of Helen Hokinsons in all of California; nor was such as the rather icky description of her in the Times soon after her election as a "little lady" who was "still [her husband's] bride and he still her lover—even if she is the distinguished president of our most exclusive ladies' club." Pearl was by all accounts most certainly a lady, and by some accounts a shrewd one in the mold of all iron magnolias. 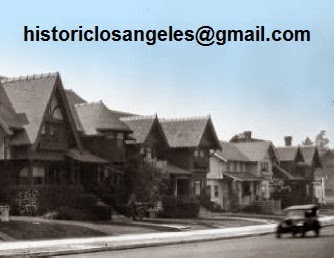 While the details of her wheelings and dealings in Ebell property are not completely clear, in securing the lots for the new Park Mile clubhouse, her own house at 671 South Vermont Avenue, just south of the erstwhile Bullock's-Wilshire site at 3200 Wilshire, came into play after her husband died there on July 16, 1923, in the midst of the club's various real estate negotiations. Not long afterward, the Times reported that what may have been the Ebell's shadow "syndicate of local bankers" had bought the Long house and planned to relocate it. 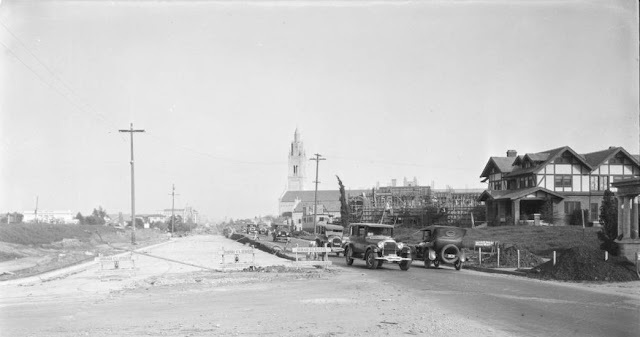 In October 1924, a large parcel bounded by Wilshire, Eighth, Easterly Drive (as the east roadway of Fremont Place was then called), and Burck Place (now the southward extension of Lucerne Boulevard) was instead purchased by a lone investor, perhaps Mrs. Long herself as part of a complicated plan to provide the club with a new plot. In the third phase of the project, two lots of the new purchase, at the southeast corner of Wilshire and Easterly, came to be occupied by a migrant from 671 South Vermont Avenue by late January. On the permit for relocation of the house issued on October 3, 1924, master house mover George R. Kress it cited as the owner rather than a group of bankers or Mrs. Long. (It was not uncommon for house movers to buy and relocate houses for resale, perhaps as part of their remuneration.) The permit called for duplicating the foundation and basement of 671 on Wilshire; the garage and chauffeur's quarters built in 1911 behind 671 also made the move. At some point early on Mrs. Long may have considered living in her relocated house; in the end, she did not, taking instead an apartment at the Hershey Arms at 2600 Wilshire. 4424 (later 4444) Wilshire Boulevard from 671 South Vermont Avenue in January 1925. The new Ebell Club is under construction to its left; it would open in October 1927.
of the gateposts of Fremont Place on Wilshire. Meanwhile, the final phase of the Ebell Club's coming to occupy the site it does today was begun in August 1925 when it was announced that the club itself, and not some shadow investor or group of bankers, had purchased Lot A of the Wilshire Square tract at the southwest corner of Burck Place, extending a block down to Eighth Street, which had been part of the parcel acquired by Mrs. Long or her operatives in October 1924. Nearly two years after the Long house had been moved to Wilshire Boulevard, construction began on an extravagant new Ebell complex of clubhouse and theater, seemingly safe from the boulevard's commercial zoning that extended at the time only as far west as Western Avenue. 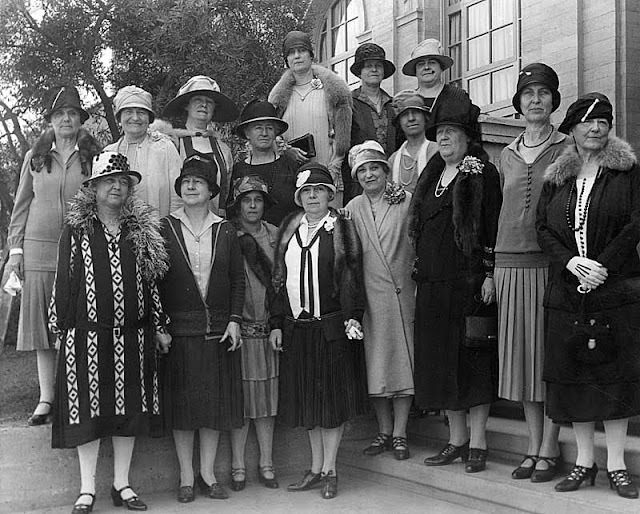 The '20s were fat years for America and for Wilshire Boulevard, and the ladies of the Ebell, traditional but not unprogressive, were not going to be left out. Their new facility became a cornerstone of gentility and culture for the new neighborhoods of Windsor Square, Hancock Park, and Fremont Place that converged at its front door. As for its neighbor, the mobile Long house, it can said that it was not among the more farsighted of house moves, which were to lots well enough off Wilshire to avoid a repeat of the traffic and commerce conditions that prompted their relocations. South of Sixth Street or north of Eighth were not optimal; moving within yards of the boulevard itself was just plain unwise, as it would turn out. The Park Mile managed to remain relatively sedate for years, but traffic along its length was never going to lessen. 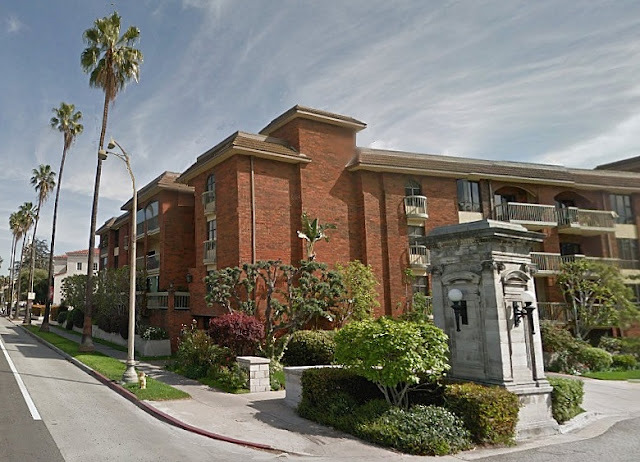 Initially addressed 4424 Wilshire Boulevard and altered a few years later to 4444, the half-timbered former 671 South Vermont, typical of its vintage, was rather an anachronism in its new location. But it did have a fairly interesting second act. practically next door, but she was most certainly not asked to join the Ebell Club. Enter, if briefly, Fred Thomson and Frances Marion. Curiously, the southeast corner of Wilshire and Easterly was reported in the Times to have been bought by the big Western star of Paramount Pictures and his equally famous screenwriter wife in June 1928. The purchase was curious in that Fred and Frances had built a huge Beverly Hills spread they called The Enchanted Hill only a few years before. Perhaps it was intended to be a home for the groom of Fred's many horses, or for another employee, or perhaps it was just an investment; at any rate, Fred was dead seven months later and plans for his property at 4444 Wilshire appear to have changed. Frances may have held on to the house, renting it out until markets improved. 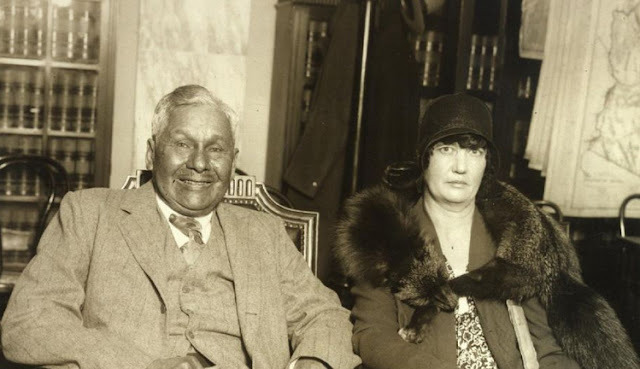 In 1930, a clerk, one Miss Muriel J. Roe, was in residence; by 1932 and for the next five years, the house was occupied by United States Congressman and Mrs. Joe Crail. Crail, a lawyer whose twin brother Charles was a local Superior Court judge and lived across the street at 4451 Wilshire, was much in the news for his political endeavors almost from the time he arrived from Iowa in 1913. A member of the House of Representatives from 1927 to 1933, he remained at 4444 after an unsuccessful bid to transfer to the Senate in 1932. He resumed his law career and invested in real estate with his brother; he also served as president of Coast Federal Savings. 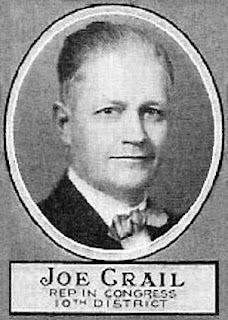 The Crails moved to Muirfield Road in 1937 and Joe died there on March 2, 1938.
appeared in the Times from the '20s to at least 1959. She must have been doing something right. Although the landlord is unclear, the remaining years of 4444 Wilshire Boulevard appear to have involved a revolving door for renters. The most interesting of these, and controversial though nowhere on the scale of the Barnetts, was one Ethele Francis. Calling herself a "face rejuvenator," Miss Francis was the niece of Irehne Hobson (the peculiar spellings of their given names must have been either a family quirk or marketing gimmick), also a face rejuvenator. Aunt and niece were sued in 1930 by a customer blinded during a facelift—there is no evidence of the rejuvenators having any medical training—and their several Wilshire district beauty parlors were seized. Back in business a few years later, the ladies operated at several boulevard locations; Ethele was rejuvenating faces at 4444 Wilshire by October 1938, perhaps hoping that some Ebell ladies would be able to enter discreetly through a back door to have their jowls tucked. (Just as today, what's a little risk to one's eyesight if tight skin is the object? Plus ça change.) Perhaps 4444 Wilshire and 4451, once the homes of the Crail twins, were owned by their estates and rented out—after Charles died a year after Joe, Ethele Francis was doing her rejuvenating in his old house at 4451. From 1940 on, the names listed in directories at 4444 included Mrs. Roxana Byers, a musician; Mrs. Helen Morehouse; the charmingly named and no doubt charming Mrs. Myrtle Snively; and, apparently closing out the history of the house at 4444 Wilshire Boulevard, née 671 South Vermont Avenue, José and Della Cota. Permits for the demolition of the Long house were issued on July 2, 1962; interestingly, the owner cited was the Ebell Club, which replaced the house with a parking lot. It wasn't until 1981 that the inevitable condominium turned up on the corner. The Chateau Fremont caused a stir when it was built and helped ruin the suburban streetscape of Wilshire Boulevard's Park Mile. The build-tall-to-the-sidewalk urbanization of Los Angeles was underway. an 18-unit condominium development opening today." bases of the colonnades, seen intact below circa 1920.